Railroads". 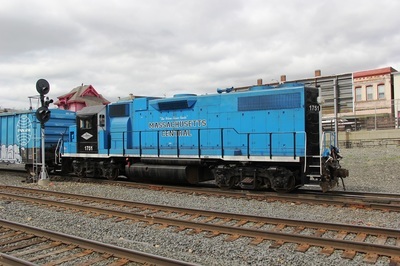 Those railroads included the Boston & Albany, Central Vermont, Boston & Maine, Ware River, Central Massachusetts, Hampden, and Southern New England railroad. 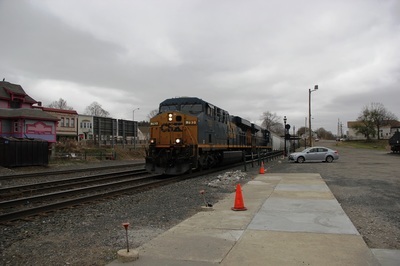 Today, although this medium sized town of just over 12,000 residents can’t boast about 7-railroads, there are still 4 that operate through town, and all four can be seen from Palmer Union Station, now home to the Steaming Tender Restaurant. The big game in town is CSX, who pushes around 10 trains through town during a 24-hour period. CSX operates the former Boston & Albany RR line (last used by Conrail / Penn Central). 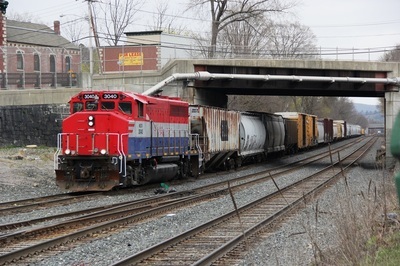 The Central Vermont line is now used by New England Central (a RailAmerica property). Mass Central is a local shortline based in Palmer, they interchange with CSX near the station. 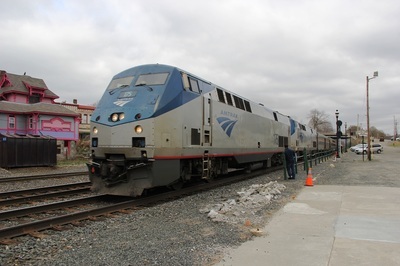 The Amtrak"s Lake Shore Limited passenger trains (# 448 & # 449, the Boston sections of # 48 & # 49) pass through Palmer, but the town does not have a station stop. The Amtrak movements are during daylight, as long as the trains are on time. Location Name: Palmer Union Station (Steaming Tender Restaurant). Rail Traffic: Expect near 15-trains during a 24-hour period. Both Amtrak’s are scheduled during daylight. 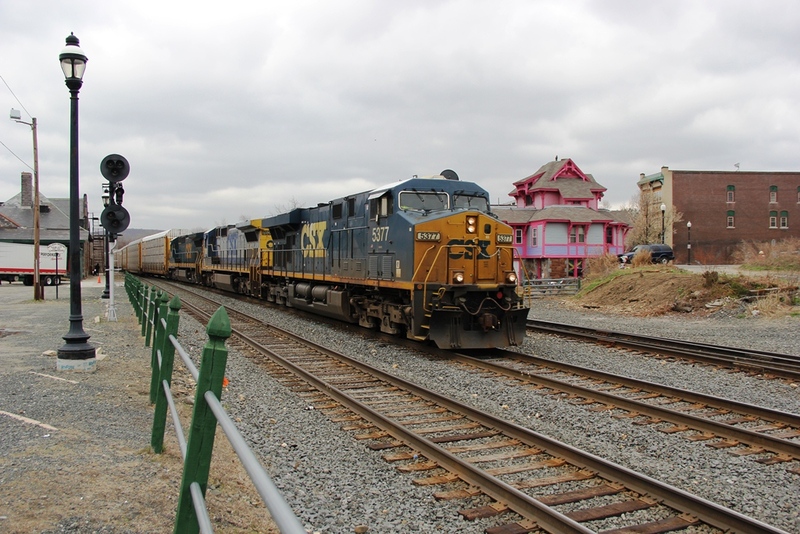 CSX freights are spread out through the day, late afternoon to early evening is the busier time for CSX. You can usually see at least one NECR movement during daylight. Mass Central is a weekday operation, and will only come past the station to interchange with CSX / NECR. Site Details: The parking lot of the Steaming Tender Restaurant provides a front row seat. Parking spots along the CSX line is the popular place to watch trains, as this is the busy side. Please be considerate to restaurant customers. The restaurant is highly recommended! The food is great; they even prepare orders to go (take-out). Summertime, they have an ice cream stand! You can see passing trains from inside the restaurant or choose to dine outside, track-side! Not hungry? The restaurant sells train related souvenirs. Shirts, hats and mugs proudly read “New England’s Top Train Enthusiast Location”, and I have to agree! CSX and the interchange tracks are on the north side of the parking lot, the New England Central RR is on the south side. The diamond is behind the restaurant, accessible, but please stay off the tracks. Also be aware that you are on the restaurant property, and not public property. 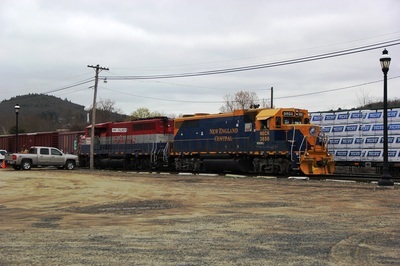 The owner welcomes railfans, but please keep safety in mind when around railroad property. Restrooms on site: Located in the restaurant for customers. Local mini marts and McDonalds can also be used. Food: Steaming Tender Restaurant on site (Breakfast (Buffet), Lunch, and Dinner), also an Ice Cream stand open during summer. Picnic Area: No. Outdoor “Track-side dining” is available at the restaurant. Parking: Free track-side parking along the CSX line. Please be considerate to restaurant customers. Motels / Hotels: We’ve been told that the Wedgewood Motel in Palmer located east of the interchange in Palmer has a fair view of the CSX line in winter. Warmer months, leafs on trees will likely block the view. There are no other motels in Palmer. 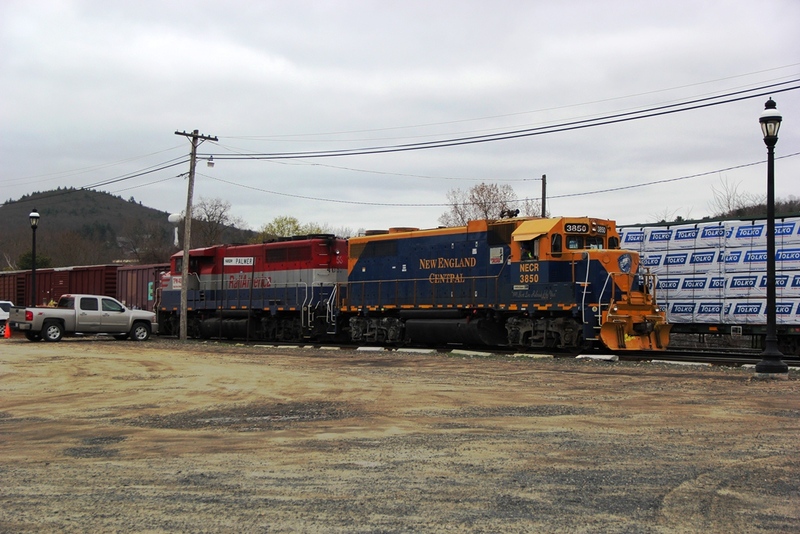 The closest motels are 20-minutes east around Springfield, MA, which includes 3 railfan motels. 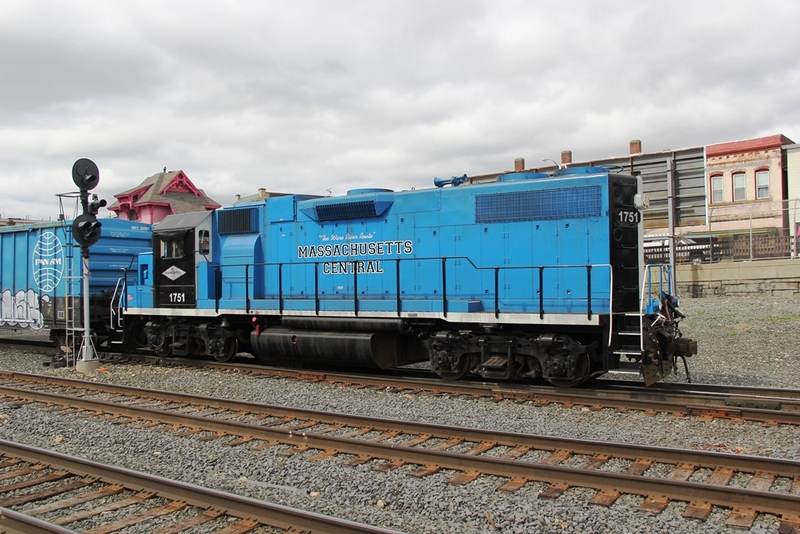 Visit RailfanMotels.com / click Massachusetts, than Springfield.